It's one of rock n roll s most famous tragedies. 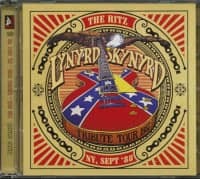 On the 20th of October 1977 Lynyrd Skynyrd's private plane crashed in the forests of Mississippi. The band's charismatic figurehead and songwriter Ronnie Van Zant was killed on impact along with guitarist Steve Gaines, his sister Cassie, the band's assistant Dean Kilpatrick and both pilots. 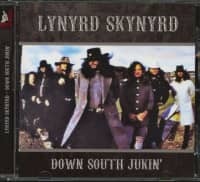 The surviving members of Lynyrd Skynyrd (Allen Collins, Artymus Pyle, Billy Powell and Gary Rossington) jointly decided to dissolve the band in the wake of the tragedy, and in the following decade would pursue various other musical projects. One year after the ill-fated flight, the DIR FM network decided to assemble a new series of live music shows under the name Super Jam. Its maiden show would be broadcast live from Studio One in Doraville, with the cream of southern rock as its honorary guests and the invested backing of audio and visual giants TDK and JVC. The appearance of names such as the Charlie Daniels Band, Allman Brothers, Wet Willie, LeBlanc-Carr Band and The Outlaws was highly attractive, but Lynyrd Skynyrd was both attractive and surprising! Except for the badly injured Leon Wilkeson, the remaining members of Skynyrd had decided to honour an invitation from fellow rockers and DIR-FM in performing together again. It was a significantly poignant venture in view of the very recent tragedy, but it was the genuine warmth of others that had embraced the band and would ultimately bring them round. A supportive line-up that included Dickie Betts (Allman Brothers), Charlie Daniels and Tazz DiGregorio (CDB), Lennie LeBlanc, Jimmy Hall (Wet Willie), Harvey Dalton Arnold and David Dix (Outlaws), Bonnie Bramlett (Delaney and Bonnie, Allman Bros) and Patti Smith. While Daniels lets rip on the opener Jitterbug (which he would record in his own right a year after), J.J. Cale's Cocaine and Southbound give Dickey Betts the required room in which to fill the air with a wrenching solo. It's a masterful exhibition of guitar artistry that would tear the skin off those unaccustomed to the hell-for-leather antics of the great Betts at work. Bonnie Bramlett's treatment of I Don't Wanna Go Down There is poetically inspired as is a valid new composition entitled; Reflections. 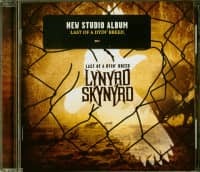 Of course, in amongst the respectful renditions of each artist's songs here, is a burning tribute to the classic Skynyrd with another J.J. Cale song in Call Me The Breeze, the song that like Southbound, is their calling card. It offers a whiff of Van Zant's ghostly presence and reminds any fan of the `leh-nerd skin-nerd' that was, as remembered by an employee at their British management company 'Sir': "The seven individual members of Lynyrd Skynyrd all drank like fishes, took all known illegal drugs, fucked anything female on two legs and liked nothing better than to fight with their fists, either against others or amongst themselves. Singer Ronnie Van Zant, who sang barefoot because, he said, he liked to feel the stage burn beneath his feet, was the toughest of the lot. 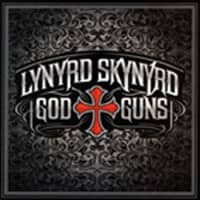 Before their shows Skynyrd liked to psyche themselves up in their dressing room, winding themselves up by breathing deeply together like football players, passing the Jack Daniels around in a ritual drink and willing each other on to perform as if their lives depended on it." This spells out the measure of their authenticity and how much southern rock meant to each band member and while Van Zant and Gaines took it with them to their grave, the surviving members, although obviously shaken, could unite among friends for the good times again. Whilst they would do so again, (at Charlie Daniels' fifth Volunteer Jam in Nashville in January 1979), they would eventually be joined by Van Zant's younger brother Johnny, continuing the bloodline that originally fuelled their prowess as the world's finest southern rock band. 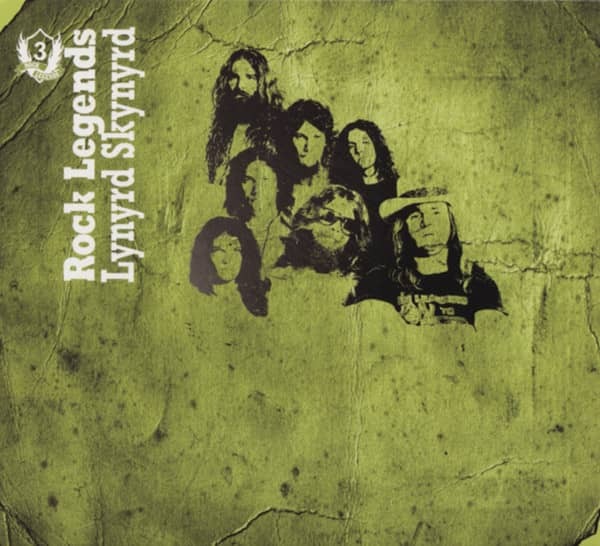 Customer evaluation for "Rock Legends Series Vol.3"